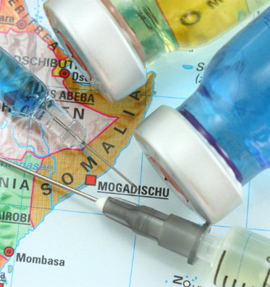 You are obliged to visit your doctor 4 - 6 weeks to trip departure to secure the medicines that you might need since some of the vaccines are necessary for travel. Ugandan immigration policies are not always consistently applied and may change without notice. Travellers should pay close attention to the validity of their Visa or special pass to avoid fines or travel interruptions. A passport valid for six months beyond the date of entry is required. Visas are available at the Airport upon arrival or may be obtained from the Emmbasy of the Republe of Uganda in the respective country of origin. It is recommended that travellers obtain Visas to Uganda in advance of travel in particular those travellers who will arrive via land. If you plan, to obtain your Visa upon landing let your airline know in advance before it allows you to board without Visa. The current fee for the three month tourist Visa obtained upon arrival at Entebbe Airport is $50 and $100 is used for multiple entries which is valid for six months from the date of arrival. The cheques are not accepted. It is important to note that the Visa fee is non-refundable and for travellers entering Uganda through Land boarder crossing may undergo extensive entry procedures. Travellers also have to note that the visa does not determine the length of stay for a traveler in Uganda. The Ugandan immigration officer at the Airport of entry will determine the length of time which ranges from one month to three months as a tourist. It is also important to note that Uganda immigration Authorities imposes a fine of up to $30 per day for Visa overstays and sometimes detains individuals who have overstayed their visa until the fine is paid. The Extension of duration of stay in Uganda can be requested at the Immigration Headquarters on Jinja Road Kampala. 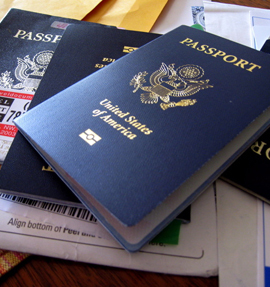 Airline companies may also require individuals to have visas before travelling. 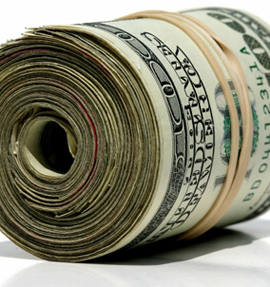 Cash can be exchanged easily at major banks and foreign exchange (forex) bureaus. The forex bureaus offer slightly better exchange rates than the banks. At most of the banks and forex bureaus, small US dollar bills attract much lower exchange rate than do USD 50 and USD100 notes. The rate for exchange for traveller cheques is 2% lower than they are for cash. Exchange rates in Kampala are up to 15% better than is the case elsewhere in the country. Thus it is better to stock up shillings in the capital Kampala. Also it is important to note that credit cards are not widely accepted though they can be used at some of the major banks in Kampala. Upon landing at Entebbe International Airport it is possible to hire a private taxi to your respective place including a hotel. 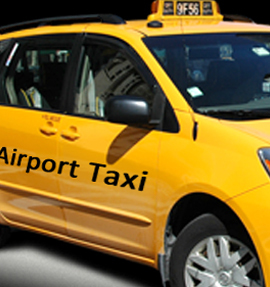 The Airport Taxis Charge about 30 – 40 USD from Entebbe to Kampala. It is about 36kms from the Airport to Kampala and it can take one hour to two hours depending on the level of traffic which is also influenced by the time of the day. Especially morning and evening hours, there is always much traffic on Entebbe Road. 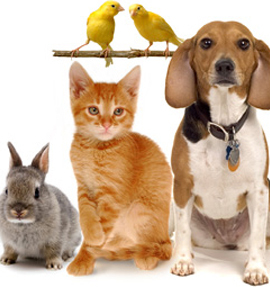 An official and authentic movement permit should be obtained from the veterinary Authority of the area of origin. 1. A bill of health certifying that the pet is free from disease. This should be issued by a registered veterinary surgeon or official and should be properly signed and stamped within ten days of shipment. 2. A certificate or letter from the local veterinary Authorities indicating that the area of origin of the pet is free from rabies. 1. Dogs require vaccination against distemper hepatitis, leptospirosis, parvo-virus and rabies. It should have been done not less than 30 days prior to arrival at any point of entry into Uganda. 2. Cats require vaccinations against Feline Entritis and rabies. It should have been done not less than 30 days prior to arrival at any point of entry into Uganda. 1. While in transit, Dogs and Cats must not come into contact with other animals. To ensure this, each pet should be appropriately crated. It is possible to drive in Uganda using a foreign driving license for up to three months after which you will be required to secure a Ugandan driving license from Uganda Revenue Authority or an International Driving Permit. You will be given a temporary paper license which will be valid for one month after which you will take it back so as to get the exact the real driver’s license. The driving license is valid for three years after which they need to be renewed. 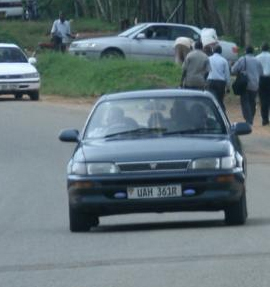 In Uganda, traffic drives on the left hand side, and the speed limit on highways is 80km/hr. and 50km/hr. in built up areas. You might not see the speed limit signs in certain areas but take extra care because police strictly enforces this law and breaking results into fine, imprisonment or both. While driving on Ugandan roads, be aware of animal crossings, children, boda-bodas and livestock. 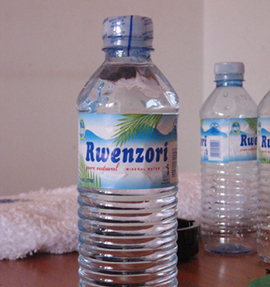 It is advisable to drink bottled water always reffered to as mineral water during your stay in Uganda since water flowing from taps is not treated. It is safe to brush your teeth using tap water as long as you do not swallow any of it. But still you can use bottled water for brushing.